Shaker Wood Box over Drawer, Canterbury, New York, c. 1830, the top shelf with straight back and canted ends continuing to the box with molded slant lid, above a single drawer and high demilune cutouts, old surface with worn salmon paint, ht. 47 1/2, wd. 30 1/2, case dp. 18 1/4 in. 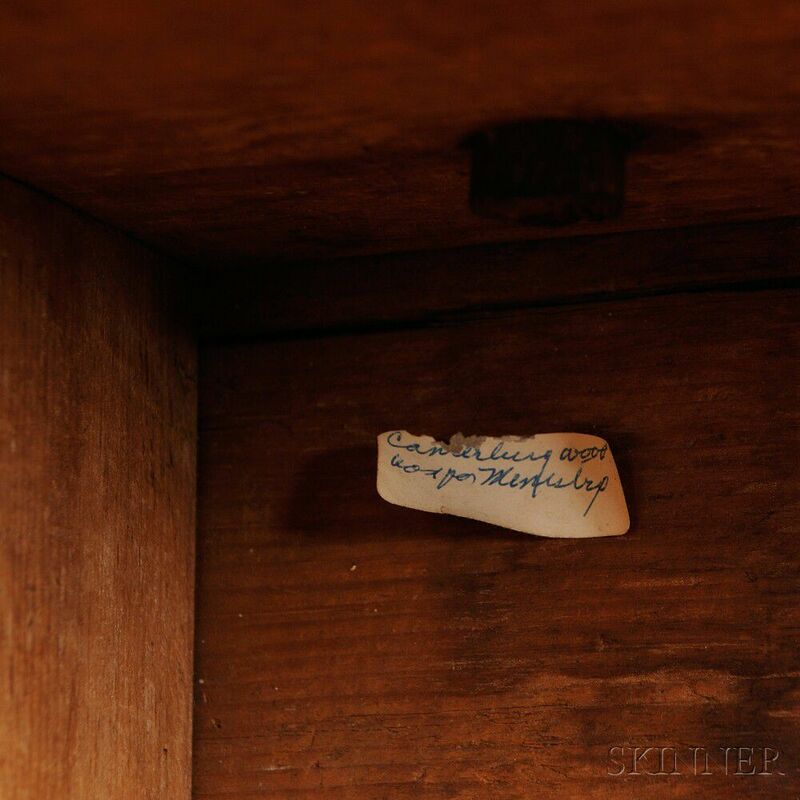 Possibly from the Shaker community of Canterbury, New Hampshire. 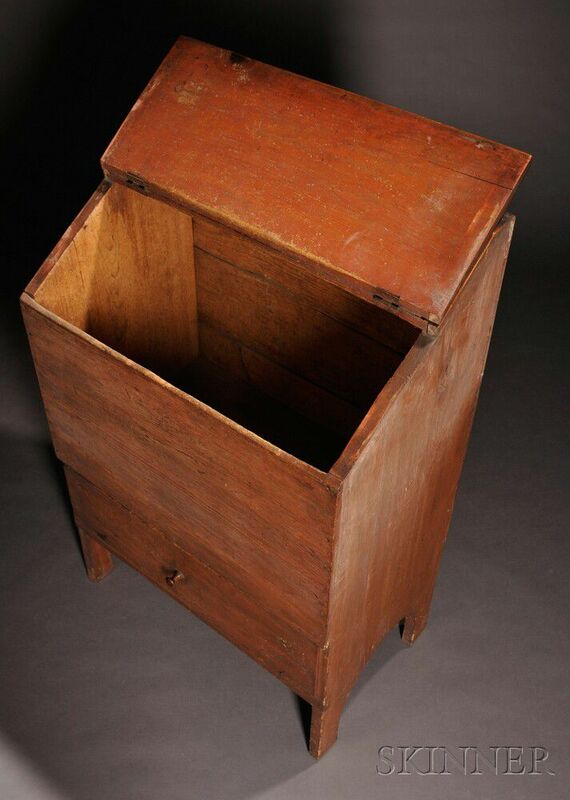 A small note inside says, "Canterbury was used for Ministry." 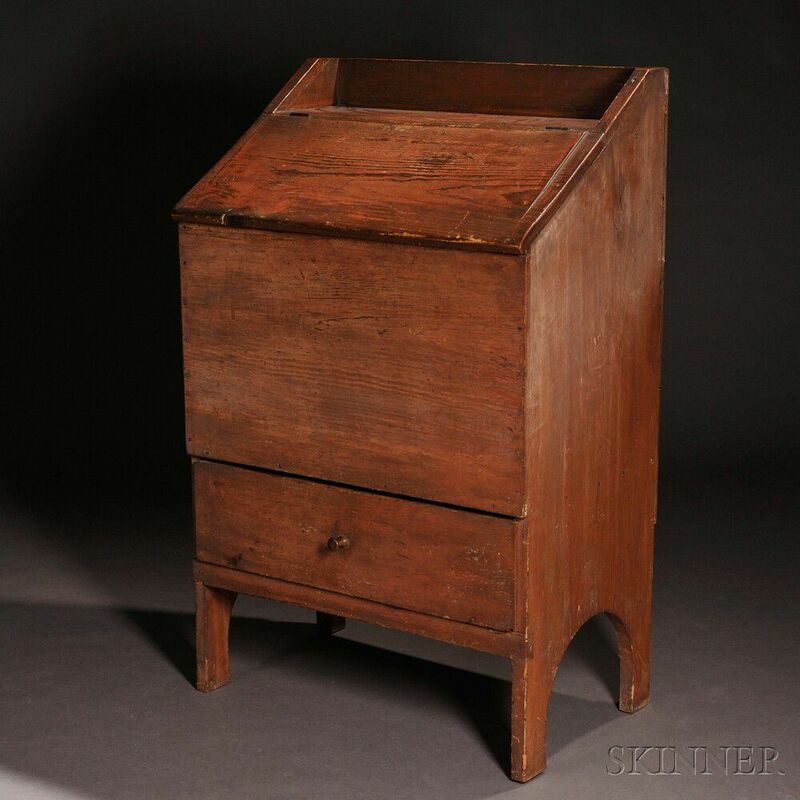 While many Shaker woodboxes have legs, the presence of a drawer, possibly for kindling, makes this example uncommon. 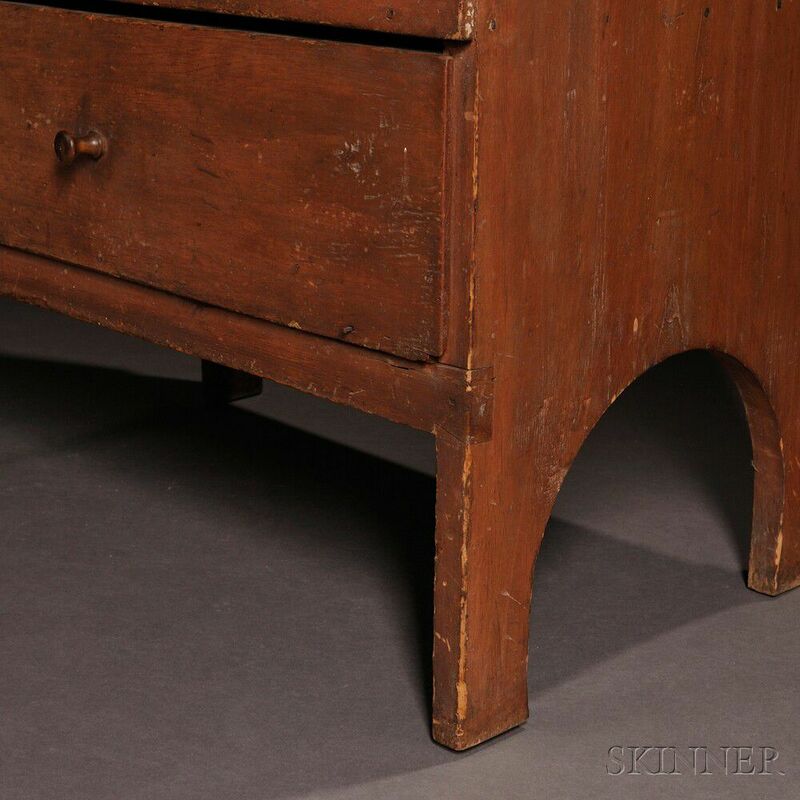 See Encyclopedia of Shaker Furniture, p. 395, for a Canterbury sewing desk with a similar demilune cutout on the case sides. 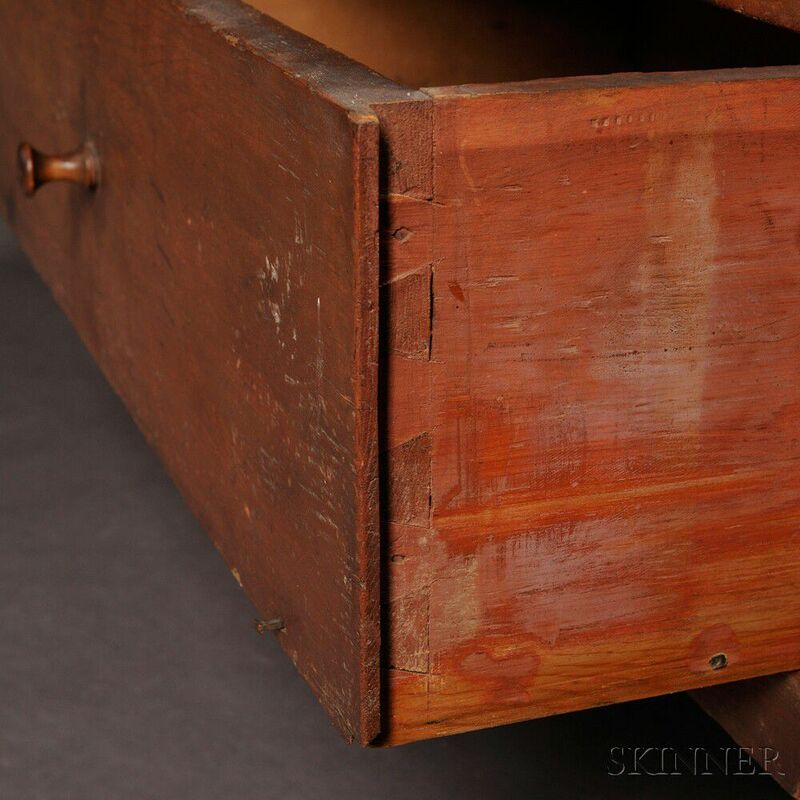 general wear and signs of use; minor shrinkage, turned wooden pull may be a replacement.